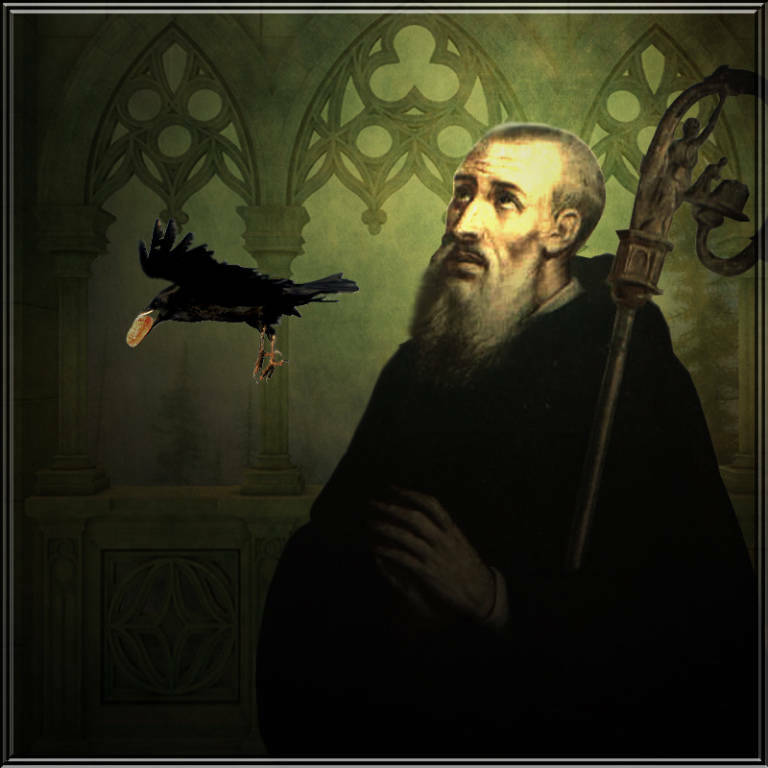 St. Benedict was born at Nursia, near Rome during the fifth century. He turned down a promising academic future and wealth. Adopting a simple lifestyle for himself, he eventually came the founder of the world famous monastery of Monte Cassino, just south of Rome, which still flourishes today. As the founder of Western monasticism, he provided a home and community structure of ordinary people and created a basic model of Christian life that calls for balance in daily living including our prayer, our work, or rest and our recreation. The Rule that gradually developed prescribed a life of liturgical prayer, study, manual labor and living together in community under a common father (abbot). Benedictine asceticism is known for its moderation, and Benedictine charity has always shown concern for the people in the surrounding countryside. In the course of the Middle Ages, all monasticism in the West was gradually brought under the Rule of St. Benedict. We hope that all people who worship God and participate in our community will be blessed by the patronage of St. Benedict, and follow his amazing example of living a life humbly devoted to Jesus Christ. St. Benedict, pray for us!